You specify custom content using the Email Contents portion of the Create Notification screen. Within the Message Type dropdown, select Custom message. Remember that if your custom message will contain some HTML, you'll need to select Yes next to the Interpret Custom Message as HTML option, otherwise the raw HTML markup will appear in your (plain text) email. If you want to be notified of both kinds of changes, you need to compose two custom messages. Within the Single Record Version tab, you'll write the email that Quick Base sends when a single record changes. 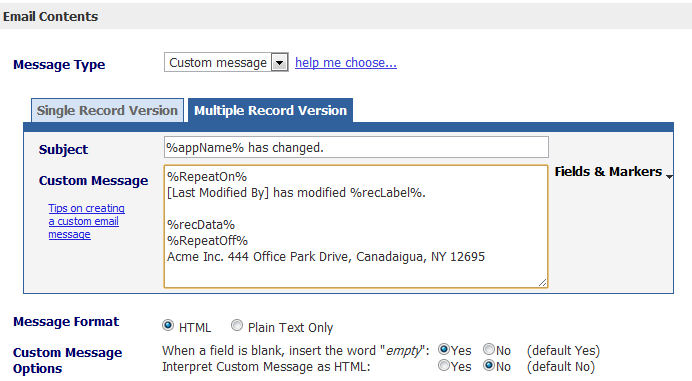 Likewise, within the Multiple Record Version tab, compose the message that reports changes to multiple records. Tip: If you've created custom forms, Quick Base lets you select one to use to display your record in the Single Record Version of the notification email. Within the Single Record Version tab, click the Data Form dropdown and select the name of the form you want to use. You cannot specify a custom form to display changes to multiple records in a single notification. If you create an Open notification, and choose to send a notification to email addresses that appear in your data in an Email Address type field (as described in step 4 of Create a Record Change Notification, it works only when a SINGLE record changes. It does NOT work as expected when multiple records change at that same time. Email with all the changed records is sent to all email addresses that appear in every changed record. For some kinds of notifications, you can insert field references. Field references act like variables in your email message. For instance, if you want your email to let recipients know who's made the change they're learning about, you can insert a field reference which draws values from the "Last Modified By" field. Note: For multi-record notifications, do not include field references because Quick Base will display the field ID and not the value of the field when it sends the notification email. This happens because Quick Base sends one email to notify users of the multi-record change, and the value of the field varies per record. A field marker is simply the field name enclosed by square brackets ([LastModifiedBy], for instance.) When you click inside either the Subject or Custom Message box, you'll see a list of valid field references you can use. You can also type these in manually, if you know the field names. but keep in mind, depending on the type of message you're composing, and the insertion point (Subject or Custom Message), certain field markers are not valid. For example, the sample message just discussed would look something like this: [last modified by] has changed Invoice Number [Invoice ID]. You can also use field references to capture the original value from a field (before it was changed) and display it in an email. The city changed from [old.city] to [city]. The city changed from Boston to Paris. Quick Base also lets you insert Markers into your custom email notification. Markers let you insert details about or links to the application. When you click the Fields & Markers dropdown, markers appear at the bottom, below the list of fields. Again, not all Markers are valid for every type of message. For Recipient type notifications, you can insert markers that link back to the application. Since Quick Base knows that all recipients of the notification have access to the application, the link is all you need. When you send an Open notification, a viewer probably doesn't have access to your application. In these cases, Quick Base lets you embed a copy of the record(s) in the message itself. Note: DO NOT use open notifications to send sensitive information. Because open notifications can be sent to individuals who aren't users of your application, Quick Base doesn't check permissions or hide any information from recipients (even if one or more recipients are users of your application). The only way to control what fields display in an open notification is to specify a custom form for the notification (Read about forms) or craft a custom notification. The markers and fields you can insert also depend upon whether or not you're composing the single or multiple record change message. 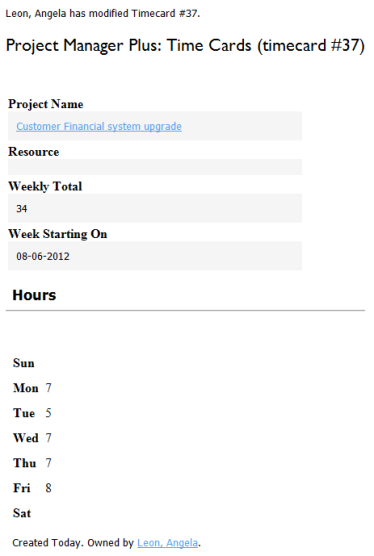 For example, a recipient notification for multiple record changes won't let you insert any field codes. Consult the table below to find out when you can use a marker and what it does. Inserts a link to the app's Home page. Inserts the name of the table and application in which you saved the notification. Behind the scenes, Quick Base assigns an ID number to each table. This marker inserts that number. 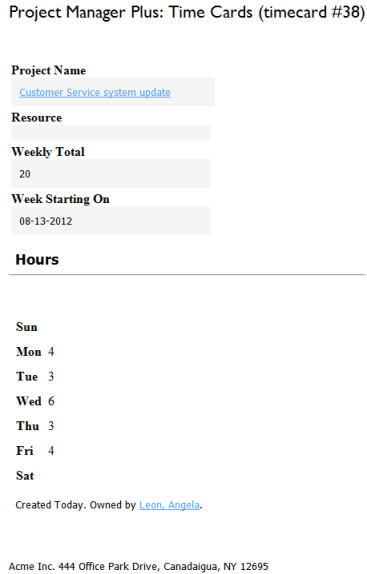 Inserts an image of the changed record in the email body. Inserts a link that opens the record. Inserts the value from the record's key field. Inserts the Record ID number that Quick Base automatically assigns to each record. Inserts a link to a report containing only the changed records. For a deleted record notification, this marker returns no results. In multi-record change messages, use this marker to precede a snippet of text that will appear for each record that changed. (see next section). In multi-record change messages, use this marker to precede text that you want to appear once, as a header or footer. (see next section). The %RepeatOn% and %RepeatOff% markers give you more flexibility when constructing multi-record messages with the Open Permission Type. See the table above for definitions of these markers. Important: Field references and markers won't work properly in multi-record messages unless you insert them after a %RepeatOn% marker. The following example shows you the correct way to compose an open multi-record message using the %RepeatOn% marker. If you insert field references in your custom messages, and a field happens to be empty, recipients may be perplexed. Avoid confusion by having Quick Base insert the word empty when this occurs. To do so, within the Custom Message Options section, beside When a field is blank, insert the word "empty": select Yes. Maybe you'd like your custom message to include pretty formatting and even a link to another Web site. If you know some HTML code, or have an HTML editor (like Dreamweaver or FrontPage) on hand, you can type your message in HTML. Or, just throw in a dash of HTML to bold a word, for example. Email programs that can read HTML (most can) will display your page like a Web browser would. If you decide to insert some HTML, just let Quick Base know what you're up to by locating the Interpret Custom Message as HTML option and selecting Yes. If this is set to No (which is the default) and you enter HTML code, that code (ugly tags and all) will appear in your email.